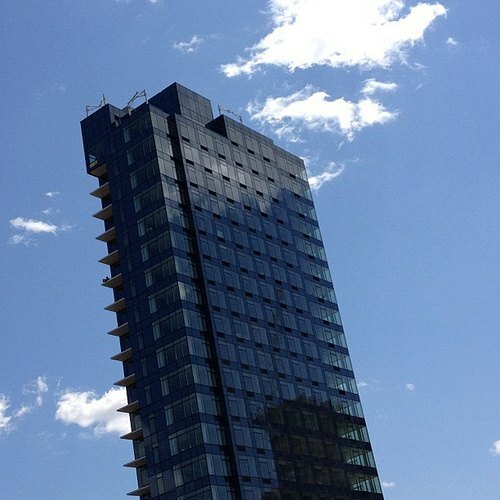 Welcome to the third installment of LIC for Brooklynites. 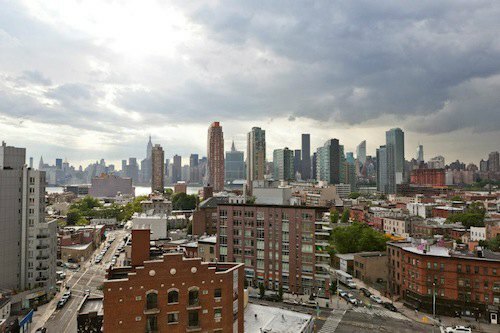 So far we’ve brought you neighborhood recommendations for places to eat - great restaurants and bars serving everything from comfort food, to Vietnamese pho, to classic cocktails; things to do - visit museums, take classes, and even go kayaking for free; and now we’re turning on sights on where to live in this beautiful area.While LIC is a 'neighborhood,' it's actually comprised of a bunch of smaller neighborhoods, including Hunters Point, Queens Plaza, Court Square, and Dutch Kills. 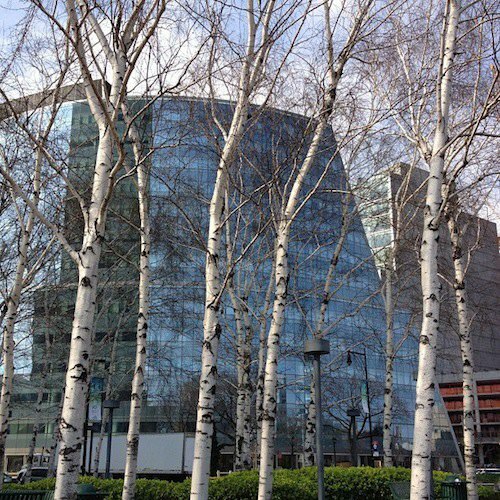 When people think of Long Island City, they are usually thinking of Hunters Point (GMAP). 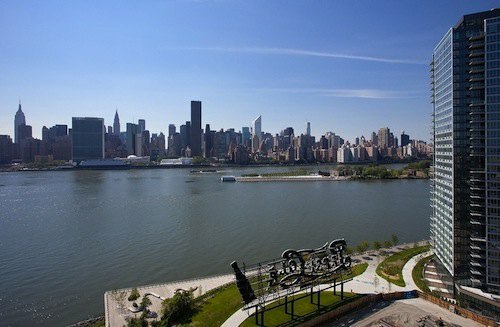 Originally Hunters Point referred to the piece of land the juts out into the East River near Newtown Creek, but these days it refers to a larger area, bordered by the East River to the west, Queens Plaza to the north, Newtown Creek to the south, and Skillman Avenue to the east. 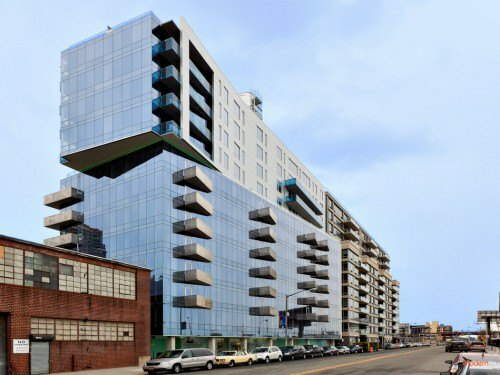 Hunters Point for a long time was primarily an industrial neighborhood full of factories and bakeries, but these days it has embraced a rapid rate of development and turned out some impressive buildings, both new and renovated. 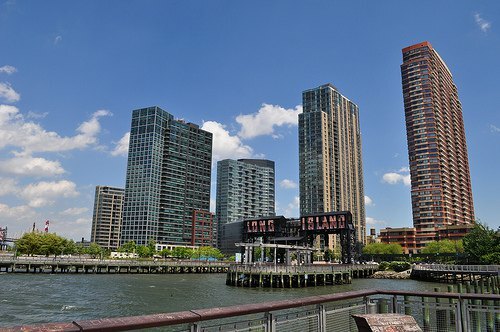 The waterfront is home to a number of high-rise residences, including The Powerhouse (originally a real power station for the LIRR and Pennsylvania RR) and The View (home to LIC's most expensive condo); rental buildings, including 47-20 Center Blvd (part of the East Coast development), Avalon Riverview, and Avalon Riverview North; and the oldest of the high rise buildings, Citylights co-op (co-ops are rare in this part of LIC). The waterfront continues to see new developments rise up; in particular two new residential rental towers to be built as part of the extensive TF Cornerstone East Coast development along Center Blvd near 46th Ave. It will be 21-acre development that sits on the location of a former Pepsi-Cola bottling plant. Rentals, condos, and retail are planned for this area. 3,000 residences will be built in total; the project is over halfway through, with four towers completed and three to go. 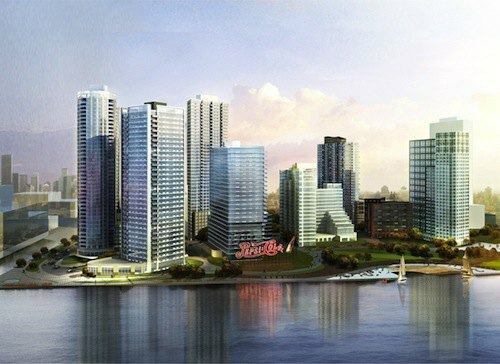 The large Hunters Point South project will be built on the tip of Hunters Point, just south of Gantry Plaza State Park. It will be a mixed-use middle-income housing development on 30 acres of waterfront property with up to 5,000 units available. The first phase should be ready by 2014 - two mixed-used buildings with 900 housing units (100% for low to middle-income families), 20,000 square feet of retail space, 5 acres of new waterfront parkland, new school, and a new library. It goes without saying - except that we are saying it - that the waterfront buildings have amazing views of Manhattan and environs. 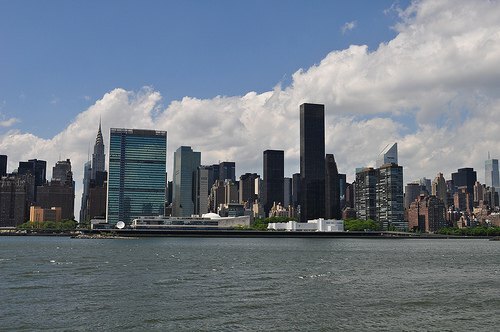 And if you haven't been to LIC, you should go and check out Gantry Plaza State Park - the views from there are some of the best in the city, which gives you an idea why NYC's skyline is so revered. 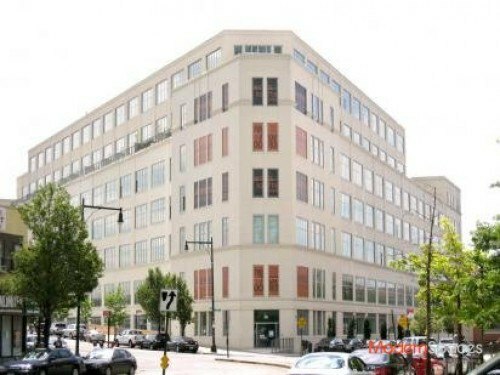 Further inland (by a few blocks, really) are a number of recent condo developments, especially around Jackson Avenue, including Ten 63, Murano, and L Haus. 5th Street also has a handful of developments along it, including the 5th Street Lofts, Prestige Condos and the Foundry; these tend to be more low-rise than high-rise. Many of these developments - waterfront or not - come with amenities like contemporary kitchens with stainless steel appliances, roof decks and patios, in-house fitness centers, and doorman. Often these buildings are accepting of pets, too. On Vernon Blvd, there's a great dog park for your furry friend. 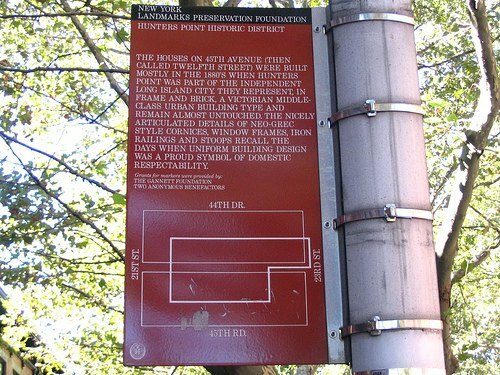 The Hunters Point area is also home to LIC’s only landmarked historic district, aptly called the Hunters Point Historic District. 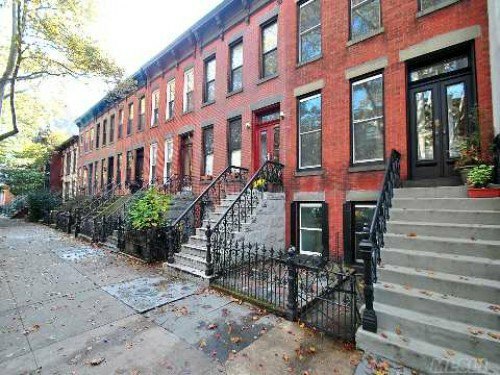 It is home to historic 19th century buildings located on 45th Avenue between 21st and 23rd Streets. 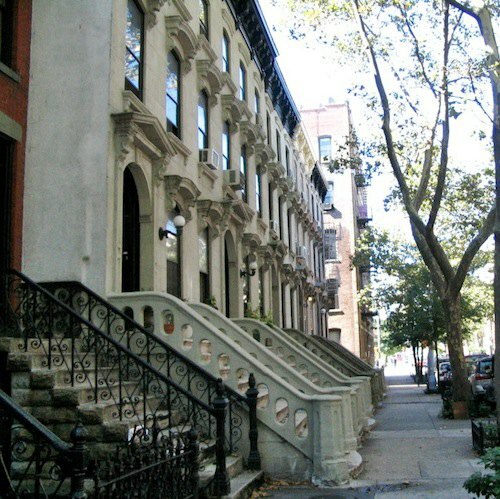 Italianate row houses dominate the architectural scene. 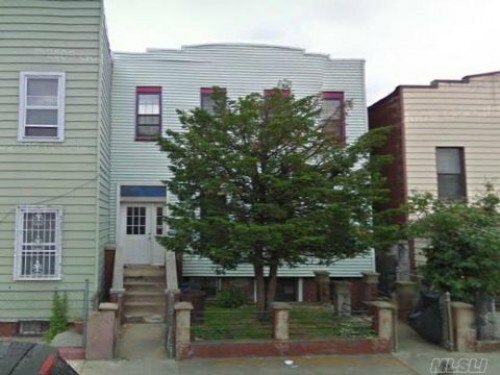 Townhouses in this part of LIC rarely come up for sale, but there recently was one listing (see below). So keep on the look out! 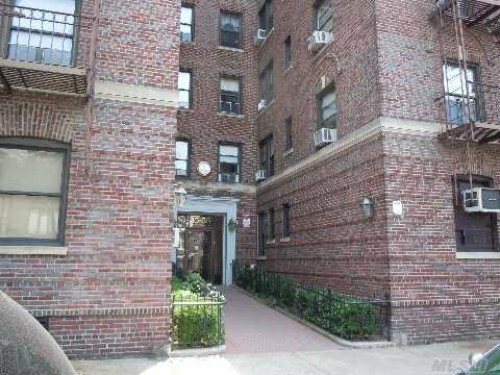 Hunters Point has the benefit of being on the 7 subway line with only one stop to Grand Central from the Vernon-Jackson station. 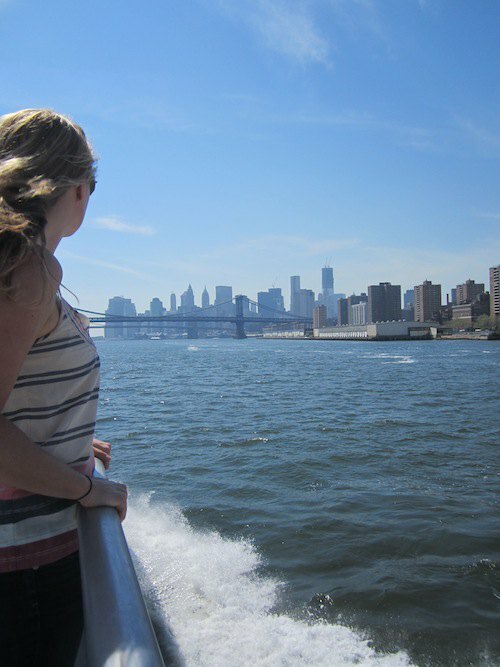 It's also home to the East River Ferry, and the Hunters Point dock is only one stop (about 5 minutes) from Manhattan near 34th Street as well as Greenpoint to the south (as well as Williamsburg and DUMBO just beyond that). 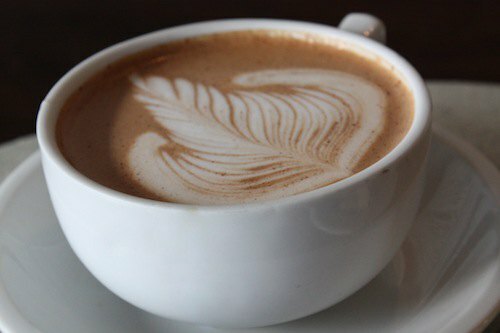 The area also has a thriving arts scene with galleries and museums like PS1 and the Dorsky Gallery; excellent restaurants along Vernon Blvd, Jackson Avenue, and Center Blvd such as Tournesol, Sweetleaf Cafe, and Shi; and nightlife at clubs and performance spaces like the Chocolate Factory Theater and the Laughing Devil Comedy Club. In general, the feel of Hunters Point is that it's new and exciting, with lots to do and places to hang out. 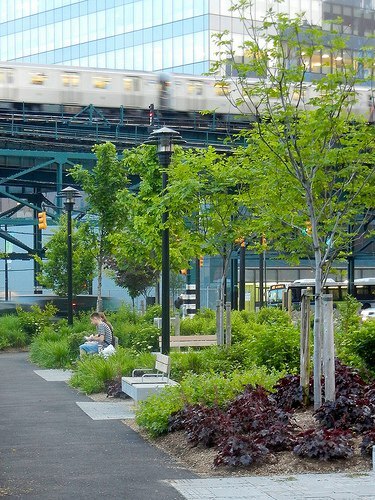 The waterfront is a huge draw and Gantry Plaza State Park is no longer a hidden gem. 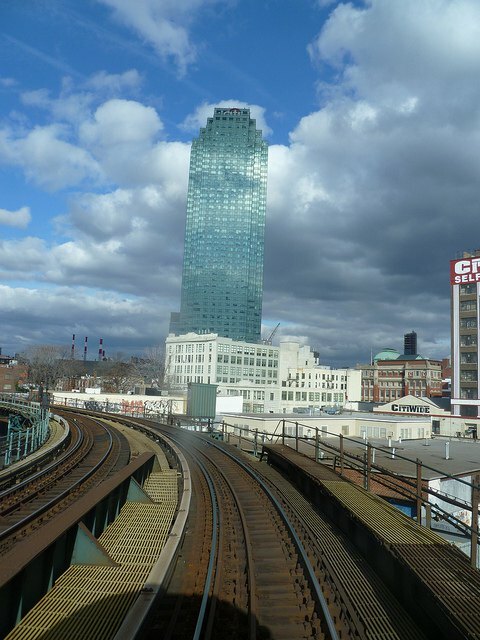 For the longest time, the defining element of Queens Plaza (GMAP) has been the elevated subway platform that leads to, but does not connect to, the Queensboro Bridge. These days it's high-rise residences and commercial towers sprouting up in the Queens Plaza that are also starting to define the area. Court Square (GMAP), named after the classic LIC courthouse, is dominated by the Citibank building, the tallest skyscraper on the Island. 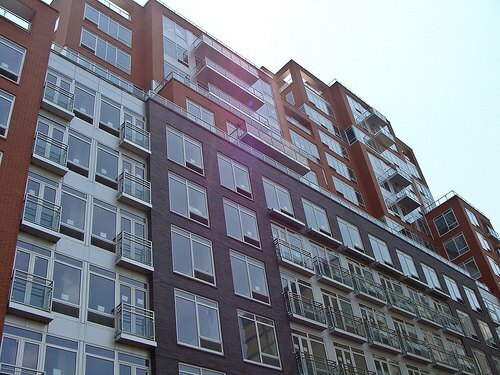 This part of LIC is home to a number of new residential developments. 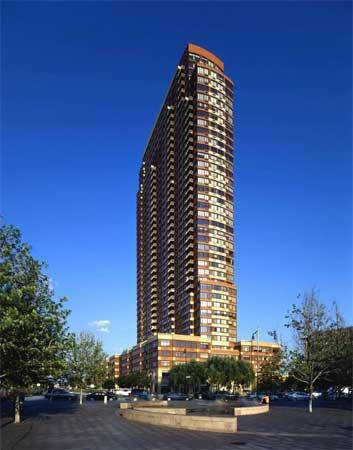 North of Queens Plaza, just across the street from the elevated subway, are a few mid- to high-rise residences, including View59 and Queens Plaza Condos. 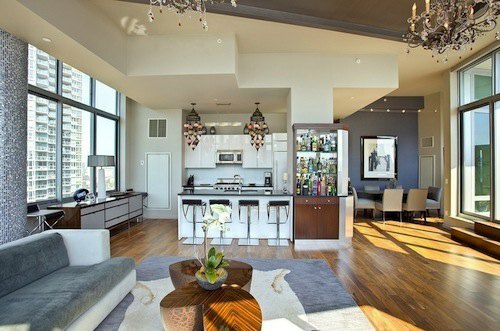 The Crescent Club was first envisioned as a condo building but has turned into to rentals. 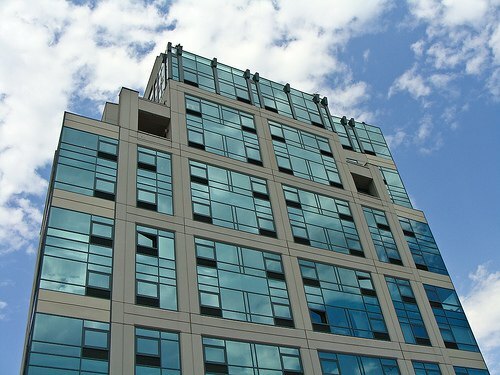 Queens Plaza South is home to many new buildings that are currently under construction, including Rockrose's Linc LIC (rentals) and 43-25 Hunter (another Rockrose development). 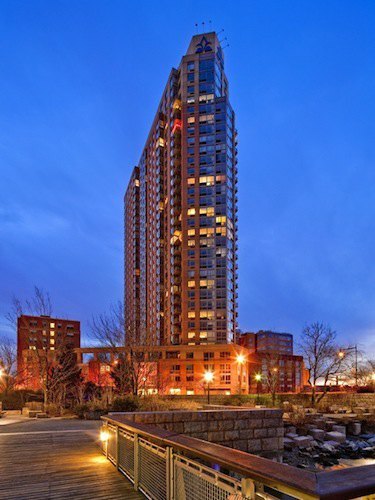 In the Court Square area there are new developments like the Arris Lofts, Fusion Condos, One Murray Park, and the newly built Vista, which has been given a feng shui wellness treatment. A huge benefit of living in Queens Plaza is proximity to lots of transit – the N/Q/7 at Queensboro Plaza and the E/M/R at Queens Plaza. Court Square has its own family of subway stops - the Court Square (newly renovated and ADA compliant) station on the 7 which easily connects to the G, as well as the 23rd St/Ely E/M stop. Note that it is a pretty quick walk from Queens/Queensboro Plaza to Court Square. Also, if you are riding with an unlimited metrocard, a "secret" transfer can be made between Queensboro Plaza (N/Q/7) to Queens Plaza (E/M/R) and vice-versa. It's not an official transfer point, per se (it is still an extra fare if you are using a per-ride Metrocard), and there is a short walk between the two, but many people find it useful. Further away from the elevated train and closer to Court Square are restaurants like Sage General Store, M. Wells Dinette in MOMA PS1, and Dutch Kills Bar, where you can find some of the best cocktails in NYC. Body & Soul Restorations, home to excellent massages and other therapeutic treatments, is above Sage and near Court Street Wine & Spirits, a deceptively large shop with an excellent selection. 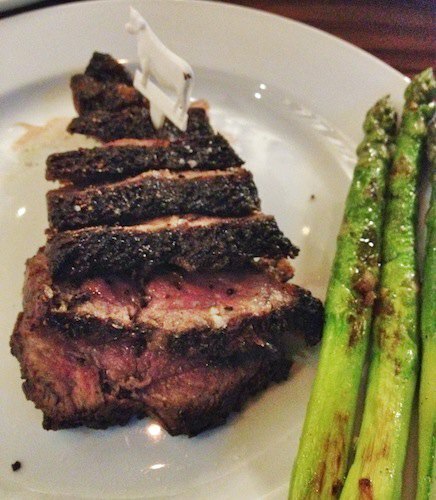 This coming winter, M. Wells is planning on opening up a steakhouse, and recently, John Brown Smokehouse moved into the neighborhood and has been proclaimed by the Village Voice as the best 'cue in the city. 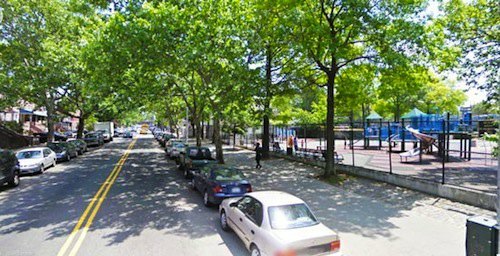 As far as open space, Court Square Park in front of the beautiful Long Island City Court House (one of the most important buildings in Queens), and Rafferty Triangle are also quite nice. 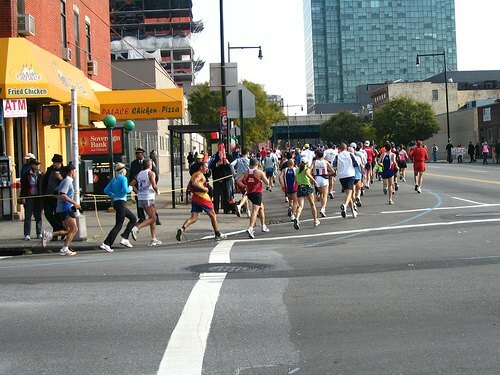 Plus, the NYC Marathon runs through this part of LIC each Fall (except for Fall 2012 because of freak Hurricane Sandy). The general feel about the Queens Plaza/Court Square area is that it is growing and finding its way. 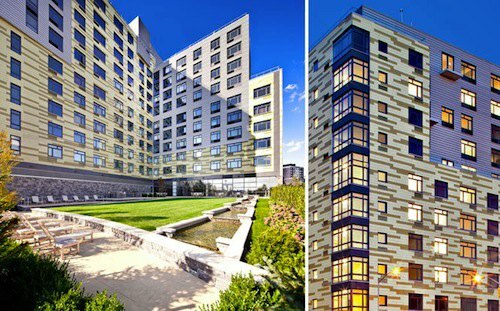 It's a mix of new residential developments and high-rise commercial buildings (Citibank, the UN buildings, Department of Health), with room to expand - upward. Around Queens Plaza there are spots where you can grab a quick bite (pizza, sandwiches, donuts, coffee) surrounding the elevated train. 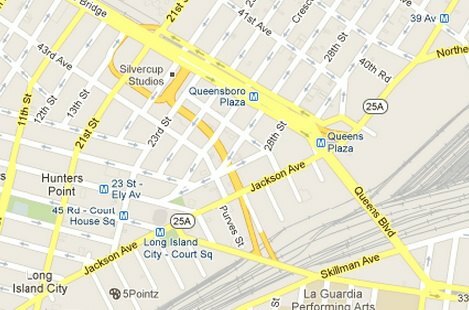 It's also exciting to know that movies and TV are made here, at Silvercup Studios south of the Queensboro Bridge. 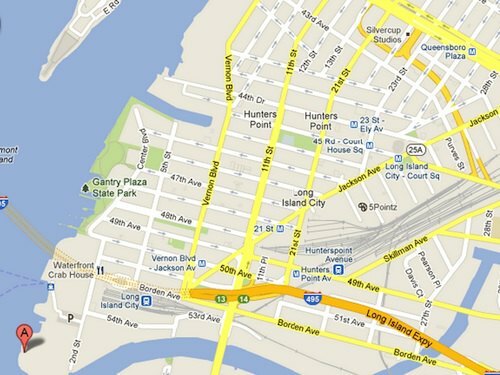 Dutch Kills (GMAP) is basically north of the Queensboro bridge until it hits Astoria; this northern boundary is in dispute amongst locals, but it is usually considered to be around 35th or 36th Avenues. The eastern edge of the neighborhood is Northern Blvd. Dutch Kills was the first European settlement in Western Queens, and has been one of the last to jump into the re-development pool. 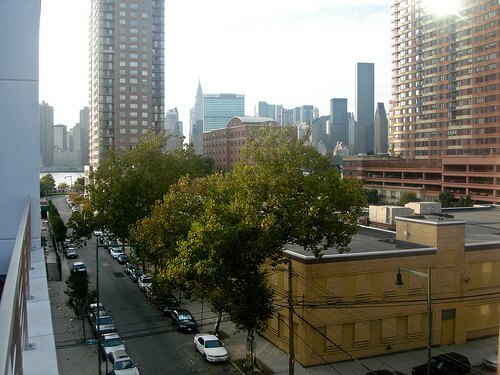 Dutch Kills is considered to be an up and coming part of LIC. 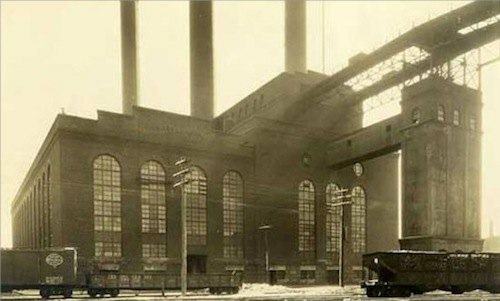 Benefits of living in Dutch Kills are less expensive properties and cheaper rents; a bit of an industrial feel, since the area was primarily zoned for manufacturing for a long time; relative quiet at night; a strong civic presence via the Dutch Kills Civic Association. 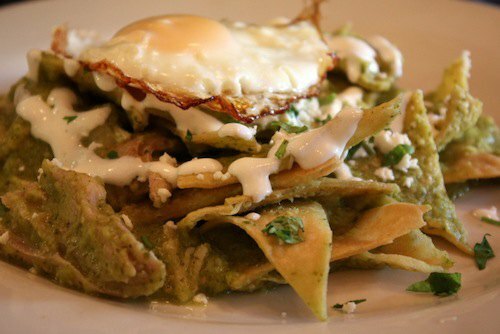 It's also very close to Astoria, which has its benefits (great restaurants, for one). We'll be putting together a similar article to this one on Astoria, so keep an eye out for that. 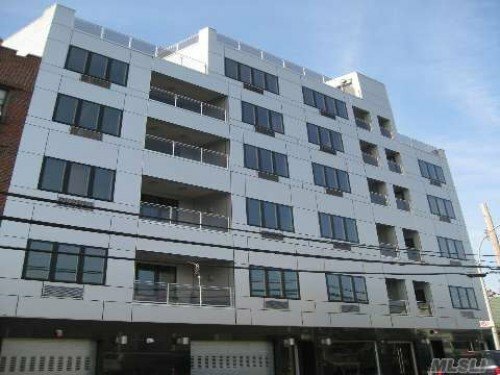 Much of the housing stock in Dutch Kills is in older buildings, though properties for sale are much less common here than in other parts of LIC. 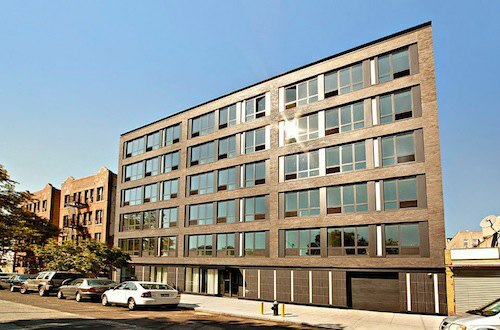 There are commercial properties for sale, though, and it is not out of the realm of possibilities that some of the industrial buildings in Dutch Kills could be converted into condos. 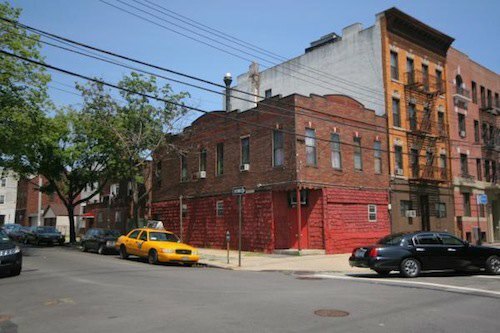 The older buildings are often wooden structures (similar to the saltbox houses found in Astoria and Greenpoint) from the early part of the 20th century or smaller brick pre-war apartment buildings. 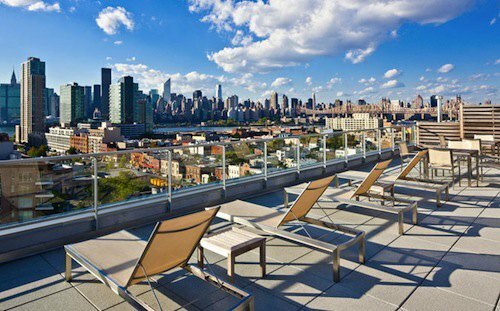 Hotels have also made their mark in Dutch Kills, from boutique hotels like the Ravel and Z Hotels to big chains like the Holiday Inn. 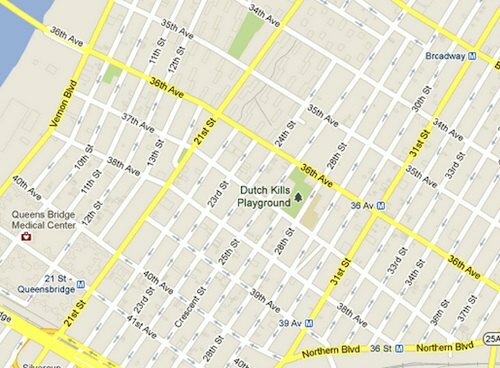 There are over 20 hotels in Dutch Kills. 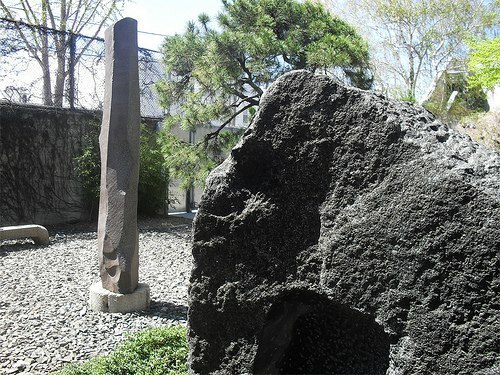 Dutch Kills residents will sometimes claim the waterfront near Broadway (arguably Astoria) as their own, and take pride in the presence of the Noguchi Museum and Socrates Sculpture Park in the neighborhood. 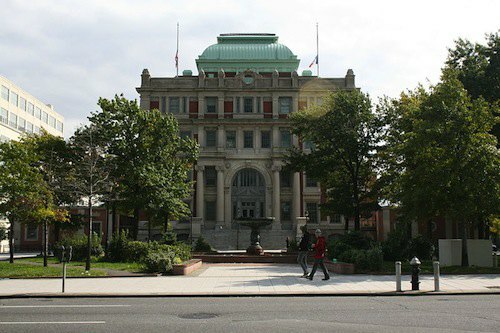 Museum of the Moving Image (MOMI) can also be considered part of Dutch Kills, as well as the Fisher Landau Center for Art, just a block from the 39th Street N/Q stop, and home to an amazing private collection of modern art. 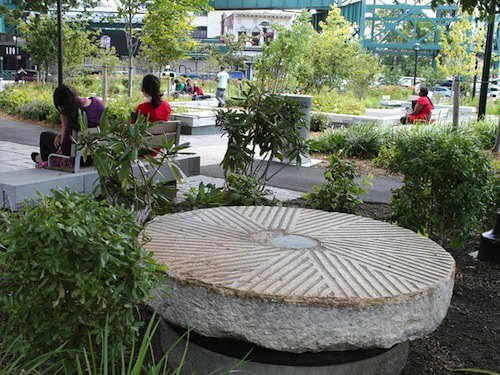 The area around Queens Plaza/Queensboro Plaza has been transformed into the Dutch Kills Green and is home to two historic millstones, considered by some to be the oldest European artifacts in Queens. 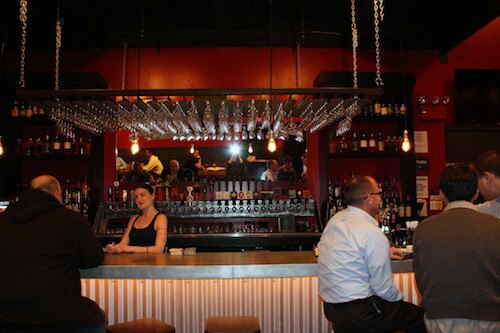 As far as restaurants go in Dutch Kills, the Windmill Tap & Grill is going to open soon, and will present the area with food and drink with a contemporary feel. 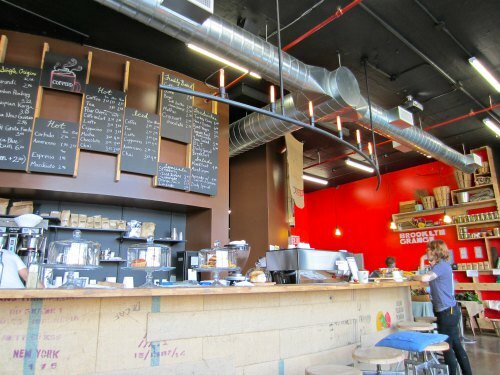 The hidden in plain sight Buttercup Bakery is also at the south end of Dutch Kills, and is only open Tuesday-Friday. 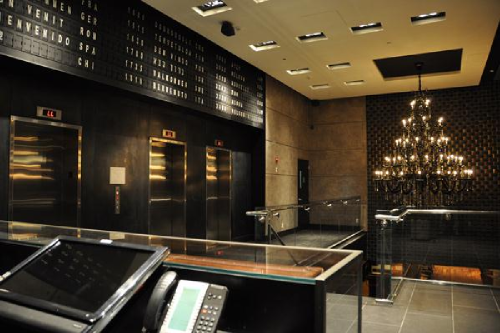 The area around MOMI is home to several excellent restaurants and bars, including newly opened S Prime steakhouse. On Northern Boulevard lies the Brooklyn Grange, one of the biggest (almost an acre) roof top farms in NYC, as well as their venture below called COFFFEED (amazing coffee, trust us). The Entrepreneur Space, run by the Queens EDC is not far from there, and is home to an incubator kitchen that is producing all sorts of delicious delights. In addition, there are a few outlying parts of LIC that don't get much fanfare - the sliver of land between the LIE and Newtown Creek, with Calvary Cemetery on its eastern border, was once called Blissville (GMAP). Forgotten New York has written an interesting article on this section as well as Laurel Hill (West Maspeth). There is a bit of residential (nearer the cemetery) and a lot of industrial. Silvercup East has also made its home there. There is also a section of LIC that blends in with Sunnyside, and that would be the area east of Skillman Avenue up until about 39th Street (GMAP). 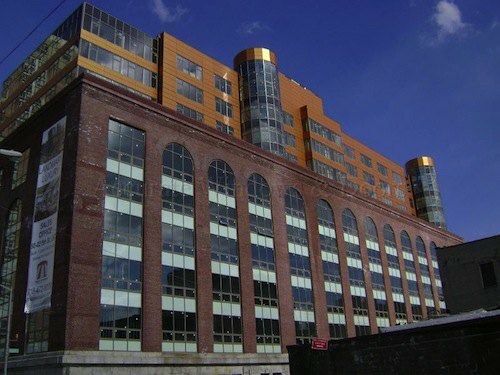 It's an industrial area - Shapeways, the 3D printer company and LaGuardia Community College are located here.